during the 2017 NHL Draft at the United Center on June 23, 2017 in Chicago, Illinois. 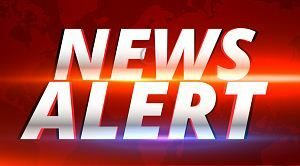 A person with knowledge of the move told The Associated Press on Tuesday that Yzerman is leaving his post and will be replaced immediately by longtime assistant Julien BriseBois. 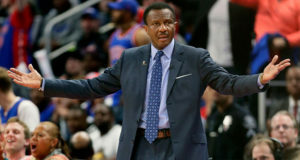 The person spoke to the AP on condition of anonymity because the team had not announced Yzerman’s decision. The Lightning were expected to hold a news conference later Tuesday. 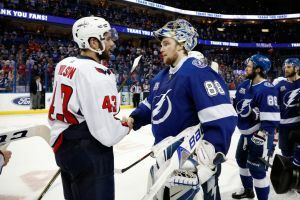 Yzerman’s move comes days before the Lightning open training camp following a trip to the Eastern Conference final. 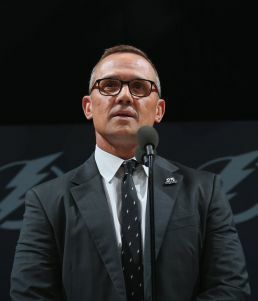 Yzerman, 53, spent the past eight seasons as Tampa Bay’s GM, a tenure that included five playoff appearances, two trips to the conference finals and an appearance in the 2015 Stanley Cup Final. Tampa Bay is again one of the Cup favorites based on Yzerman’s stellar record of drafting, developing and acquiring players. 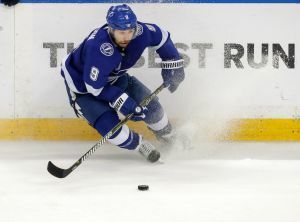 He promoted Jon Cooper to head coach in 2013, re-signed captain Steven Stamkos and locked up defenseman Victor Hedman to a long-term deal in 2016, traded for J.T. Miller and Ryan McDonagh at last year’s trade deadline and got Nikita Kucherov signed to an extension this summer.